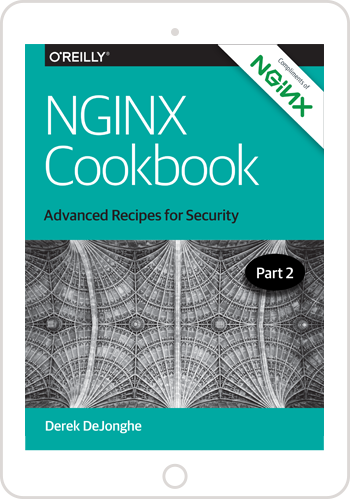 Home› Blog› Tech › Why Do I See “Welcome to nginx!” on My Favorite Website? What is the “Welcome to nginx!” Page? The Welcome to nginx! page is the default web page that is presented when a website operator has installed the NGINX web server software on a computer on the Web, but has not finished configuring it. The NGINX web server software is used by millions of websites worldwide. It’s open source and free to use, so anyone can download and install the software and use it to host a website. When you see the Welcome to nginx! page, the mostly likely reasons are that either there is a configuration problem at the website, or there is a problem on your computer that is causing your web browser to go to the wrong website. It might be a temporary problem, in which case it might help to clear your browser cache and history, then restart your computer and home router if necessary. See What Should I Do?. It is also possible that your computer has a virus or other malware that is intercepting your web requests and directing you to the wrong website. For example, some viruses and malware can control how your computer uses a system called DNS. This system translates website names (such as www.google.com) into computer addresses, just like the contacts list on your mobile phone translates people’s names into phone numbers. When you try to access a website, the virus causes your browser to route your request to an impostor website that might try to steal personal information. The NGINX software has not been installed on your computer – it runs only on computers that are serving web pages. NGINX is not a virus and has nothing to do with determining which websites your browser accesses. Clear your browser cache and delete your browsing history. Restart your web browser. Restart your computer and home router. If you don’t want to investigate the problem yourself, contact a qualified expert – your ISP or support representative – and ask for help scanning your computer for malware and verifying your DNS and network configuration. If you feel like investigating further, below are some other things for a knowledgeable user to try. Run a scanner or anti-malware application from a security software company. Users of Windows 8.1 and later can use Windows Defender, which is free antimalware software included with Windows. Windows 7 users can use Microsoft Security Essentials. Clear your operating system’s DNS cache. On Microsoft Vista, Windows 7, and Windows 8: Click on the Start logo, follow All Programs > Accessories, right-click on Command Prompt, choose Run As Administrator, type ipconfig /flushdns, and press Enter. On Microsoft Windows XP, go to Start > Run, type ipconfig /flushdns in the new terminal window, and press Enter. Go to your TCP settings (on Windows, Control Panel > Network), and locate the section that lists the DNS servers. Make a note of the current values, and then replace them with 8.8.8.8 and 8.8.4.4. You will then be using Google Public DNS instead of your previous DNS server. For more details, see Get Started page for Google Public DNS. Check the hosts file on your computer. Windows users, see How to reset the Hosts file back to the default at the Microsoft Support website. Check the plug-ins and extensions installed with your browser. Re-install your browser or try a different one if possible. Protect my PC from viruses about Windows Defender for Windows 8.1 and later, at support.microsoft.com. Security Essentials Download for Windows 7 and earlier, at support.microsoft.com.